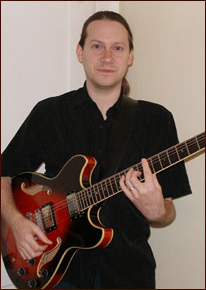 Grant Krener is a guitarist who has years of experience playing multiple styles of music. He currently plays with Fiddleback, Anita Rosamond, and his own jazz group. He earned a BM and MM in jazz studies from Webster University and teaches at Brentwood High School. 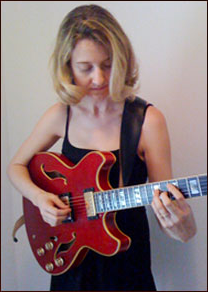 Kelly Krener has years of experience playing guitar in St. Louis. She has played with many different jazz musicians, and had preformed with various bands including Girls Night Out and Anita Rosamond. She earned a BM and an MA in jazz studies and Webster University and is currently part of the music faculty at Saint Louis Community College and Jefferson College.